If you know you are prone to overwearing your lenses, build-up is a big red flag that your lenses are past their expiration date. Check with your doctor or you can look things up online to reaffirm how often you should be throwing away your lenses. Many of my patients that get depositing in Acuvue lenses find that their issues completely resolve once they begin throwing the lenses away every 2 weeks like the lenses are approved for. There is a reason that so many contact lens solutions are available on the market -- different people need different options to get the best results from their contact lenses. There are a number of great cleaning options out there, so here is how to best maximize your results. Anyone who reads this blog has picked up on the fact that I am enamored with Clearcare. This solution solves so many of patients problems due to the strong overnight cleans you receive with a peroxide based solution. Just remember to let the lenses sit overnight and never put the solution directly into your eye. This solution works perfectly with soft contact lenses of all shapes and sizes, and if you are a known depositor I still use it with my Synergeyes patients (though for many patients in Synergeyes Duette the preferred solutions are Aquify or Biotrue). 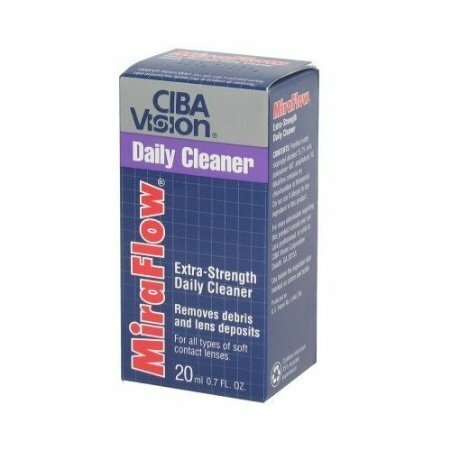 All other types of Synergeyes lenses (Clearkone, etc) should use Clearcare for best results. Sometimes there is a medical condition causing you to get more build-up on your lenses, and without treatment, you may not have complete resolution. Allergies or the more aggressive GPC (giant papillary conjunctivitis) where your eye basically rejects contact lens wear can cause depositing as a side effect. Treating the eye with anti-histamines or stronger steroid eye drops can help decrease the inflammation to your eye and make lens wear possible again. 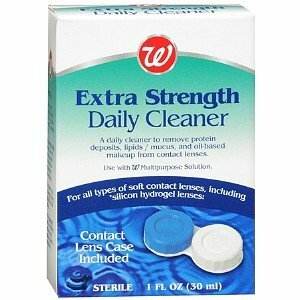 While dailies aren't available in every prescription, sometimes it is easiest to just change to a lens that you throw away every day instead of trying several cleansing products nightly to combat lens build-up. Check with your doctor to see if daily lenses are available for you. This is totally me! I can not wait to take my contacts out at night because they get so uncomfortable. The contact solution that I use is just a generic brand so I want to try something better and see if that helps. Great article shared about lens,..